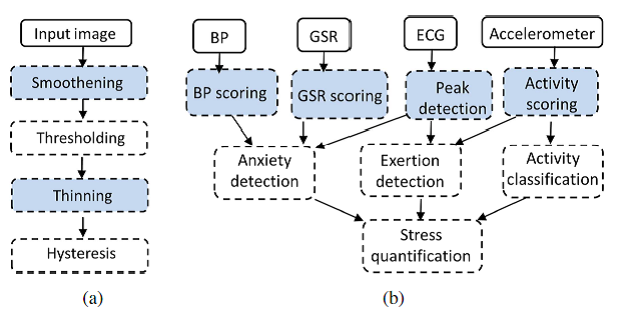 Ten steps of adding LTE to a Wearable? Adding LTE to a Wearable is not as easy as adding Bluetooth to a Wearable. Mobilestack Inc has deep experience in adding cellular technology to a Wearable and launching it in a carrier network. In this article, I want to outline steps for adding LTE / CAT-M / NB-IoT or legacy 2G / 3G wireless technology to a Wearable. Adding a cellular modem to a wearable is a very different wireless design lifecycle Vs Bluetooth integration into Wearable. In a way, Cellular Modem enabled Wearable is a completely separate category of device Vs Bluetooth enabled device. Bluetooth enabled Wearable design is limited to hardware and software engineering effort to make it work with smartphone application that is optimized to reduce battery consumption as much as possible without compromising on user experience. WiFi connectivity solution is little more complex Vs Bluetooth because of new WiFi-6 design for IoT devices or WiFi AP-setting for wearable device. Still, this is not as complex as adding cellular connectivity solution to a wearable. What is the main business objective of adding LTE to Wearables? What if LTE / CAT-M / NB-IoT coverage is not available at a given location – Is there a need to support 3G/2G as fallback option? Target market? Engage with mobile operators in target market for Wearable support and develop business case for operator support and technical requirements. New device features such as device management requirements, SIM Vs eSIM, Firmware update, Device security, Supply chain impacts, Number sharing, Voice Support, Text Message support are good examples of device requirements that must be considered. Mobilestack Inc is very familiar with details of device requirements and pros/cons of different features that must be planned for IoT device development. Based on device requirements, Wireless Technology choices must be made. Band support:- Which RF bands are supported by target device. It is not feasible to add all RF bands and device OEM may be required to pick and choose. This choice will define the global footprint in which OEM device will potentially work. In other areas (not supported by RF-bands of Wearable), only Bluetooth or WiFi will work and Cellular modem has to be disabled. Wireless Technology Choice – There are few options to be considered: LTE-Only, LTE/3G/2G, CAT-M Only, CAT-M / NB-IoT, CAT-M / 3G, NB-IOT/3G, CAT-M/NB-IoT/3G etc. SIM technology and form-factor choice – One major decision is SIM Vs eSIM. How about SIM-Swap support? What SIM form-factor is best suited – such as Industrial grade embedded, Commercial-grade Embedded SIM or Removable SIM? Mobilestack Inc has deep expertise in wireless technology choices and we can help customers in this step. Detailed planning is needed including discussion with all stakeholders- Sales, Supply Chain, Vendors, Mobile Operators as Partners, Engineering, Product Management and Operational teams that will be involved in any new wireless device development, launch, sales and operational processes. New testing and device activation work-flows have to be worked out to create expectation alignment of all stakeholders. Mobilestack Inc can help customers in planning this project to ensure the success and eliminate cost-overrun due to bad planning. By adding Cellular Wireless connectivity, new vendors for wireless module and SIM-card are added as part of supply chain. Also, operator certified Wireless Module + SIM-card must be tested (on operator network or stand-alone) before it is added to a target device. Since most of this supply chain process is done off-shore, there are challenges in achieving smooth process for this step. There are ways to solve this issue and Mobilestack Inc can help. Software design – Power management, always best connected Solution switching between Bluetooth and Cellular, One number solution for Voice, messaging services, Firmware update (FOTA), Device Activation / change in ownership aspects, eSIM / SIM-Management aspects, future-proofing of solution to enable eSIM later-on, User Interface impacts. 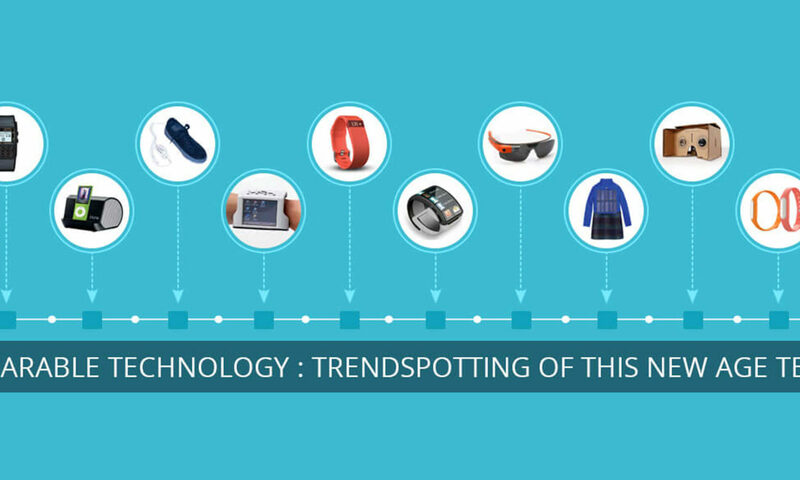 Customer experience should be painless and simple for using and activating wearable device. Usability factor will drive customer adoption. Bad usability or complex device activation process will create customer returns of a good working device. This should be considered as key performance indicator of device success among others. Mobilestack Inc has deep expertise in Wireless Design and Engineering services. Execute on Wireless design identified in step-5 above. Development should use agile development process with measurable progress and DevOps development model for frequent integration testing. Mobilestack Inc offers cost-effective Wireless Connectivity Design and Development Services to achieve faster time-to-market for our customers. System level testing must be done after development is completed with focus on automation as much as possible. Also, field testing must be included as part of this testing in which device is tested at multiple different locations with specific focus on edge cases such as roaming (specially new device activation in roaming), coverage edge of 4G and 3G etc. Mobile Operator resources can be used for field device testing. Mobilestack Inc has expertise in creating test-plans (or advice customers on test-planning) and actual testing of wireless devices. In this step, device is submitted to different device certification centers that are approved by Mobile Operators including any in-house device testing by Mobile Operator. Not all operators require in-house device certification testing. So, as part of device planning step, Device certification plan must be developed and executed as part of this step. Before device launch, as part of pre-launch testing, Mobile Operator requires test-devices in large number for internal testing by different stakeholders including network operation team and regional / nation-side device sales and marketing channels. For launch, Operator defined device on-boarding process must be followed. This includes submission of millions of manufactured devices identity (IMEI) and SIM-card identity (ICCID) details of devices (going on future sale) to Operator for proper provisioning or device on-boarding. It is best to integrate this process as part of supply chain of Device Manufacturing process. In the case of e-SIM based development, this process will be slightly different. Mobilestack Inc can help navigate this process for our customers. Congratulations for reaching on the finish-line. First few days of launch should be spent in a device launch war room to help operators and all different sales channel trouble-shooting and support. This is the most rewarding phase of project and smooth launch will help elevate device OEMs image in the marketplace. After a month of launch, Device OEM can do a project post-mortem analysis to identify lessons learnt during this journey for future improvements. Smooth device launch and good customer reviews help in building Device OEM’s brand equity. All efforts must be made to make launch successful in a timely manner specially around Nov-Dec timeframe when alot of OEMs are trying to launch their device and Mobile Operators are always very busy. Please reach out to contact at Mobilestack.com for any feedback, comments or questions. Fill up the contact form. 5G race has already started. There is talk of USA vs Pacific (China / Japan / S. Korea) competition for this race. What is needed to deploy 5G quickly to win the race? Until now, Mobile Operators have grown their network independently. All USA Mobile Operators have their own assets for end-to-end solution with very little network sharing or roaming using other MNO’s network within USA. 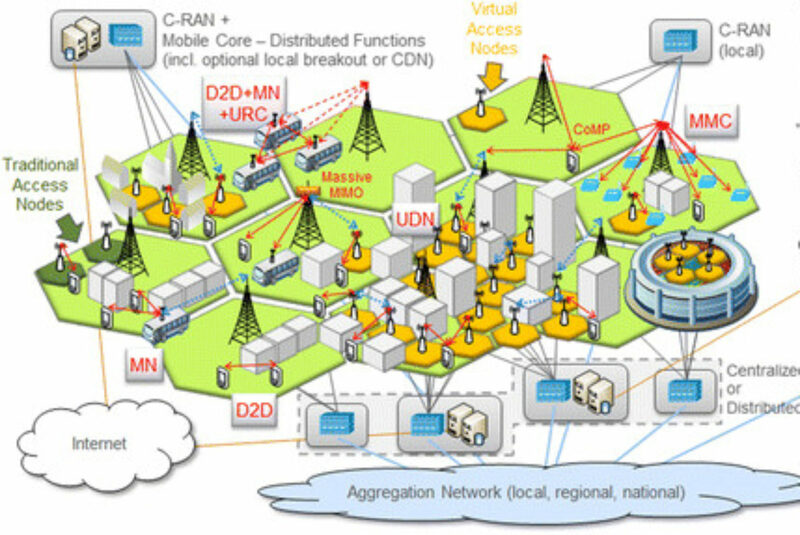 Given the Network densification requirements, this deployment model is not scale-able. Cost of network densification is huge and not supported by business case of new revenue generation potential as of now. 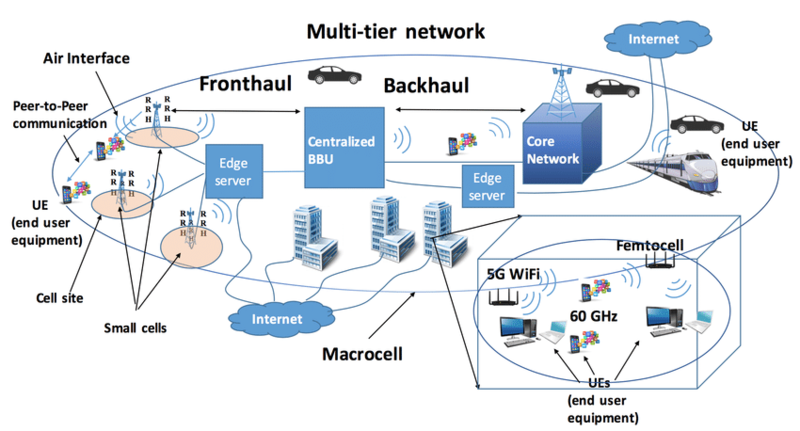 Given this situation, what are the best 5G Infrastructure Pillers for Densification? I have presented my ideas in this article to start a public debate / discussion for public-private partnership that will help in 5G network densification at a reasonable cost. In my view, this is a national strategic asset in which US federal / state governments invest to create digital highways much like physical highways system. This digital asset should be available at very reasonable cost to all stakeholders as part of OPEN Digital Highway Access mechanisms. Fiber infrastructure is a “shared” strategic asset which can be offered to private partners and operators at very low cost with equal, fair, easy access rules without much bureaucracy involved in getting access. This can be called as “building strategic national asset initiative”. 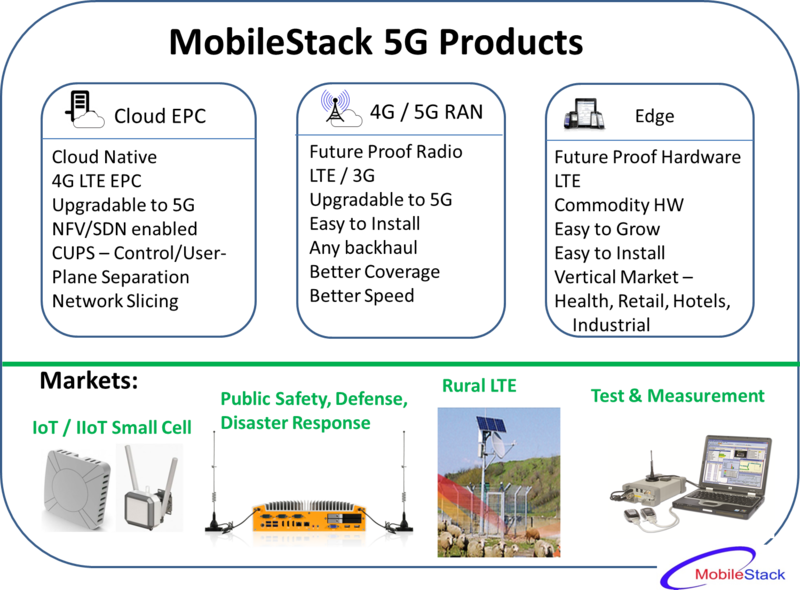 Some of this nation-wide IP-network capacity can also be used for defense, public-safety, rural, Smart City and Government IP-network requirements. It is not feasible to develop separate street furniture locations for each operators with independent fiber infrastructure for each of them. One operator with leadership in Street Furniture access or bigger fiber infrastructure will create “unfair long-term advantage” for that specific Operator and erode revenue opportunities for other operators or smaller ISPs. There is a need to create fair and equal access rule to Government and street assets that encourage network sharing. Creating separate street furniture access for each operator is not a scale-able and economically feasible option. So, fair and equitable rules for shared site access of street furniture managed by Govt / state / city administration at break-even cost is needed. Every building can have multi-MNO neutral-host and private 5G network deployment build on 5G network architecture principles of virtualization, Hardware-software separation, Network-slicing to ensure low cost in-building solution development and operational models. 5G plays a key role in building Smart City Infrastructure. Develop new regulatory policies with new investments in Retail, Roads, Utiliities, Public-safety and city-level applications that can be replicated across many cities in a consistent manner. Smart Transport 5G deployment and operational models must be developed with an objective of 5-year execution plan using Public-Private Partnership investment models. Every car, truck and public vehicle can deploy a 5G hotspot or relay devices for public / private network access, connected car applications and eventually autonomous applications as a long term plan. These three 5G deployment pillers with Public Private Partnership will create GDP growth that is projected from 5G investments. Without concrete action plan for 5G investments to create GDP growth, this potential will not be achieved. Private ownership should be encourages where-ever possible. However, fair and equitable Physical Resources access policy is needed to make sure that unfair advantage is not created for a specific operator via long-term agreements of exclusive use for any public physical resource. After Verizon launch of 5G Home Connect product, Cable Industry has come under direct competition in their monopolistic ISP market of providing internet services to Home and small businesses. Cable industry needs to create their own 5G product roadmap to counter MNO threat of taking over in-building internet services business. Mobile Operator’s interest in Home Connect solution is not new. Back in 2G days, Mobile Operators has deployed wireless local loop solution to offer in-building telephony services. Now, with access to mid-band and high-band frequencies and new technology of MIMO and beam-forming, Mobile Operators have the opportunity to offer in-building ISP services and integrate in-building wireless solution as part of their broader out-door network and grow their network coverage in-building. Value-added edge services can be created after substantial foot-print of in-door home-connect customer base is created. Without Cable industry investments, Mobile Operators are all set to eat Cable industry’s lunch and make them disappear or redundant. It is kind of do or die situation for Cable Industry. 5G is a wake-up call and golden opportunity for Cable Industry to “finally” create a business growth opportunity which is much more than acting as a simple ISP with flat ARPU. 5G is a transformation technology for in-building services and applications. Smart In-building structures is one of three main pillers of 5G infrastructure (refer my article on 5G). Cable Industry needs to take proactive and bold steps to invest in this opportunity. In-door Wireless coverage is becoming critical services much like electricity and water. Without good wireless network coverage, it is hard for building owner to find tenants. Wireless Network availability inside building requires considerable planning, design and deployment in the same way as plumbing or electrical design planning is done for in-building services. There is a need for “network design” engineers to create in-building wireless and network implementation plan and this needs to become part of building code and green building initiatives. 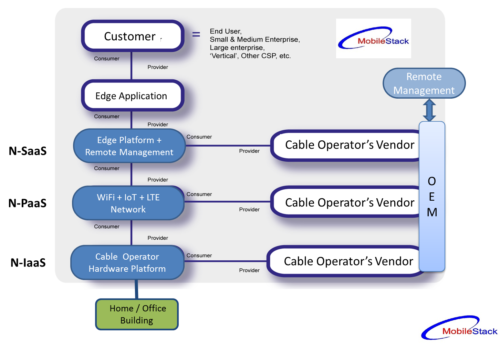 Mobilestack Inc has the expertise to help Cable Industry in development of 5G product roadmap and development of in-building network standardization efforts. We invite industry stakeholders to connect with Mobilestack Inc and make in-bulding 5G deployment work for Cable Industry advantage and offer new revenue-generating services that are much needed for in-bulding 5G network deployment. Failure to execute on this opportunity is not an option. 5G race has already started. There is talk of USA vs Pacific (China / Japan / S. Korea) competition for this race. Where does India stand in this race? Research and Development (including 240 Crores available) should be used to make India self-reliant. This money should be used as “seed capital” of IITs working closely with industry (or startups via open proposal mechanisms) to create sel-reliance in 5G infrastructure equipment development. Focus should be in development of new research and development initiative that can be commertialized in 2-3 years max with large private operator sponsorship and interest to deploy Indian 5G Equipment. Actively participate in ensuring that projects are successful. Indian Government invest in building national-wide fiber and IP-network which can be offered to private partners and operators at very low cost with equal, fair, easy access rules without much bureaucracy involved in getting access. This can be called as “building strategic national asset initiative”. Some of this nation-wide IP-network capacity can also be used for defense, public-safety, rural, Smart City and Government IP-network requirements. Create fair and equal access rule to Government and street assets that encourage network sharing. Creating separate street furniture access for each operator is not a scale-able and economically feasible option. So, fair and equitable rules for shared site access of street furniture managed by Govt / state / city administration at break-even cost is needed. – 5G plays a key role in building Smart City Infrastructure. Develop new regulatory policies with new investments in Retail, Roads, Utiliities, Public-safety and city-level applications that can be replicated across many cities in a consistent manner. Railways and Roads 5G deployment and operational models must be developed with an objective of 5-year execution plan using Public-Private Partnership investment models. Every car and public vehicle can deploy a 5G hotspot or relay devices for public / private network access, connected car applications and eventually autonomous applications as a long term plan. These three 5G deployment pillers with Public Private Partnership will create $1.4 trillian dollar GDP growth that is projected from 5G investments. Without concrete action plan for 5G investments to create GDP growth, this potential will not be achieved. Indian policy makers have a choice today. Create an execution plan for 5G growth and investment OR miss out on the 5G race. Mobilestack Inc can help build these policy initiatives for broader public good. Please contact us if needed to help develop 5G execution strategy for India. Future Proof 5G products are needed to reduce network cost with faster upgradability. Hardware-Software separation provides cost efficient 4G/5G Network Equipment cost model that is desperately needed to reduce “total cost of ownership” for deploying 4G / 5G service. Mobilestack Inc provide 5G RAN software running on future-proof radio-network hardware. Given that MNOs margins are getting squeezed, Mobilestack wants to give complete ownership and independence to MNOs for RAN Hardware that is based on open hardware standards similar to “Open Compute Project” from facebook which help reduce cost of datacenter hardware by 50%. As of now, XRAN is considered to be the main focus for OPEN-RAN strategy. However, I doubt that XRAN option is a good one because same vendor solution at BBU (RAN Base-Band Unit) and RRU (RAN Remote UNIT) will always perform better. No incumbent RAN vendors (such as Ericsson, Nokia, Huawei and other) want to give-up control on RAN-HW. If MNOs want to change the direction of this industry then they need to spend in new RAN startups like Mobilestack who are committed to support this architecture as part of their core mission and product strategy. In my view, it is time to place bets on RAN Hardware Neutrality. If we fail to adopt this strategy in 5G then it may be too late to do it in the future. Mobilestack is not a hardware company, but we are willing to work with MNOs as a consultant to help them define this future and build open RAN HW ecosystem. Small cell is a major part of Network densification. 50% to 70% of small cell CAPEX is in “installation”. As number of small cells grows to millions in a network deployment, small cell hardware replacement is simply not an option. This is the problem that we need to solve. The solution is to use future proof small cell “commodity” hardware that allows in-field upgrade from 4G to 5G. Commodity HW is the key differentiator here to create a very low cost small cell solution. Use of future-proof hardware for small cell is business critical. Given that small cell is going to be deployed in millions of locations, hardware replacement cost will be huge and roll-out of new features requiring hardware upgrade will be extremely slow. 5G relay cells are going to be deployed much like Verizon 5G service today which provide WiFi / 4G LTE inside the building or as local network and use 5G link to the macro / micro / small cell as backhaul. Use of commodity RAN HW is business critical for this use-case as well. Today, Verizon has used “proprietary HW” with a critical need to upgrade when 3GPP compliant 5G Relay cell is available. Now, consider huge cost of this hardware replacement for Verizon which can be avoided if future-proof Relay-Cell hardware is used with customer replaceable parts for custom hardware if required. Private LTE network create local private LTE network which can be used in many different vertical market use-cases in which “network delay and network coverage” is a huge consideration such as Hospitals, Hotels, Convention centers, Airports, Ports, Industrial complex or Oil & Gas markets. Again, in these markets, use of commodity hardware and being able to use same hardware for future wireless upgrades will reduce “total cost of ownership” and encourage adoption. Mobilestack Inc is targeting these markets and invite customers to engage with us for trial / PoC demos. In recent CA fires and other natural disasters such as Puerto Rico, restoration of Wireless Network is “mission critical” for public safety services and rescue operations. Every second counts in these restoration efforts to provide help where it is needed and identify / locate people that need help. This best option in these situations is to provide a portable LTE-solution that can be mounted on public safety vehicles / backpacks (such as fire trucks, Ambulances, FEMA resources) that can be connected to serve any operator’s mobile phone / SIM-card. Mobilestack Inc has developed a portable 3G/LTE-network solution (future upgradable to support 5G as well) to serve these critical needs. We invite customers to contact us for a trial / PoC demo. Mobilestack Inc is creating 5G Products with focus on Hardware-Software separation and use commodity hardware to build 5G products and services. With main focus on Hardware-Software separation is the core differentiation for Mobilestack 5G products. Customers from many vertical markets can leverage Mobilestack Inc products. We invite customer to contact us for details of our products and services with a trial, PoC as a start. This demo proves feasibility of creating a future-proof radio-network solution. Instead of PC, for higher capacity requirements, Open Compute Platform (OCP) hardware can be used to run multiple instances of BBU. Intel is also creating Network Edge Virtualization (NEV) platform which is also a candidate hardware platform of higher capacity vBBU solution. 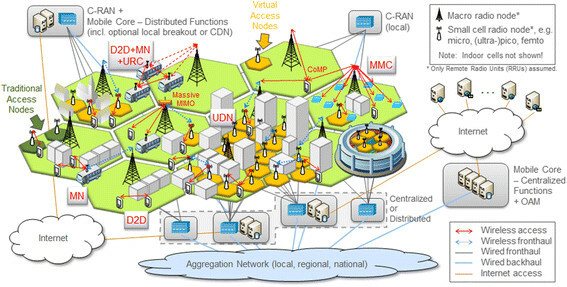 (ii) Mobile Edge Computing (MEC), which proposes to empower the network edge. While the two technologies propose to move computing capabilities to different direction (to the cloud versus to the edge), they are complementary and each has a unique position in the 5G ecosystem. As depicted in Fig. 1, MEC servers are implemented directly at the BSs using generic-computing platform, allowing the execution of applications in close proximity to end users. 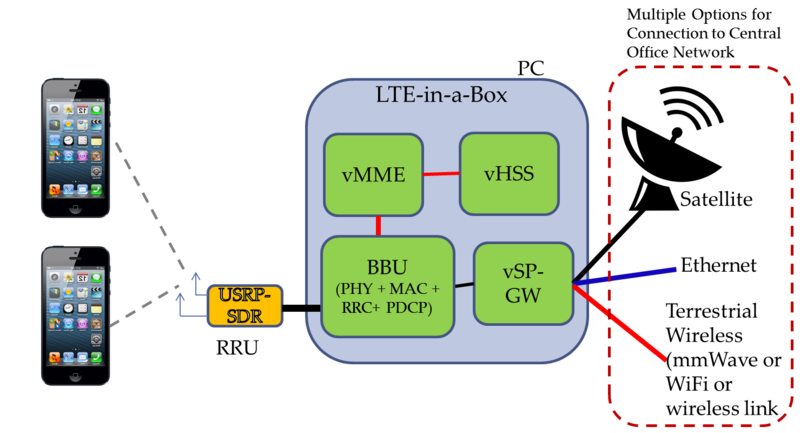 With this position, MEC can help fulfill the stringent low-latency requirement of 5G networks. Additionally, MEC offers various network improvements, including: (i) optimization of mobile resources by hosting compute-intensive applications at the network edge, (ii) pre-processing of large data before sending it (or some extracted features) to the cloud, and (iii) context-aware services with the help of RAN information such as cell load, user location, and allocated bandwidth. Although MEC principle also aligns with the concept of fog computing and the two are often referred to interchangeably, they slightly differ from each other. While fog computing is a general term that opposes with cloud computing in bringing the processing and storage resources to the lower layers, MEC specifically aims at extending these capabilities to the edge of the RAN with a new function splitting and a new interface between the BSs and upper layer. Fog computing is most commonly seen in enterprise-owned gateway devices whereas MEC infrastructure is implemented and owned by the network operators. Fueled with the potential capabilities of MEC, we propose a real-time context-aware collaboration framework that lies at the edge of the cellular network and works side-by-side with the underlying communication network. In particular, we aim at exploring the synergies among connected entities in the MEC network to form a heterogeneous computing and storage resource pool. 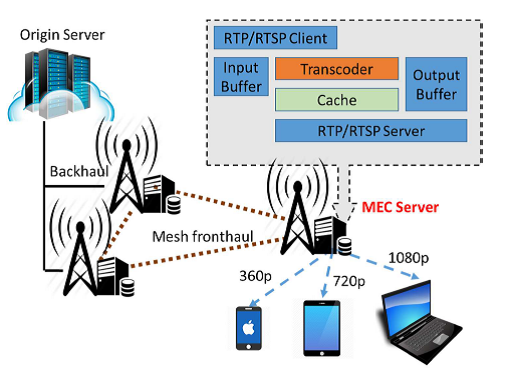 To illustrate the benefits and applicability of MEC collaboration in 5G networks, we present three usecases including mobile-edge orchestration, collaborative video caching and processing, and multi-layer interference cancellation. These initial target scenarios can be used as the basis for the formulation of a number of specific applications. Mobile video streaming traffic is predicted to account for 72% of the overall mobile data traffic by 2019, posing immense pressure on network operators. To overcome this challenge, edge caching has been recognized as a promising solution, by which popular videos are cached in the BSs or access points so that demands from users to the same content can be accommodated easily without duplicate transmission from remote servers. This approach helps substantially reduce backhaul usage and content access delay. While content caching and delivery techniques in wireless networks have been deployed extensively, existing approaches rarely exploit the synergy of caching and computing at the cache nodes. Due to the limited cache storage at individual BSs, the cache hit rate is still moderate. Due to the heterogeneity of user-device processing capabilities and the varying of network connections, user preference and demand towards a specific video might be different. For example – Based on terrain information of area based on anonymously-coded location of the user-device and history of data-performance in a certain location, optimum data-rate options for a video streaming to a user can be estimated. AI-enabled MEC Solution can help create a highly differentiated user video experience by an operator instead of simply acting as a bit-pipe. Video content distribution can become integral part of operator network with value-added or localized services based on the location of MEC-server on which video content distribution is running. Example of localized video content at MEC is – Educational content, Local News, Local business information & reviews etc. cloud node, which is the traditional cloud-computing server in a remote datacenter. Our novel resource-management framework lies at the intermediate edge layer and orchestrates both the horizontal collaboration at the end-user layer and the MEC layer as well as the vertical collaboration between end-users, edge nodes, and cloud nodes. The framework will make dynamic decisions on “what” and “where” the tasks in an application should be executed based on the execution deadline, network conditions, and device battery capacity. See figure below for the example of Mobile-edge collaboration use-cases in which AI-enabled MEC can be used. In contrast, AI-enabled MEC introduces a new stage of intelligent processing such that the edge nodes can analyze the data from nearby user-devices and notify cloud node for further processing only when there is a significant change in data or accuracy of results. In addition, sending raw-sensor values from end-users to the edge layer can overwhelm the fronthaul links, hence, depending on the storage and compute capabilities of user devices, information processing of other near-by devices and the network conditions, the AI-enabled MEC can direct the user devices to extract features from the raw-data before sending to the edge nodes. 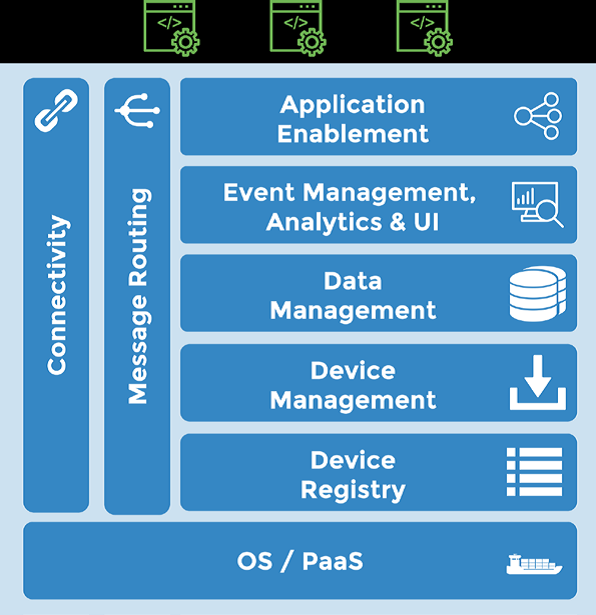 A typical IoT solution is characterized by many devices (i.e. things) that may use some form of gateway to communicate through a network to an enterprise back-end server that is running an IoT platform that helps integrate the IoT information into the existing enterprise. The roles of the devices, gateways, and cloud platform are well defined, and each of them provides specific features and functionality required by any robust IoT solution. The “Thing” in the IoT is the starting point for an IoT solution. It is typically the originator of the data, and it interacts with the physical world. Things are often very constrained in terms of size or power supply; therefore, they are often programmed using microcontrollers (MCU) that have very limited capabilities. The microcontrollers powering IoT devices are specialized for a specific task and are designed for mass production and low cost. IoT operating system – many devices will run with ‘bare metal’, but some will have embedded or real-time operating systems that are particularly suited for small constrained devices, and that can provide IoT-specific capabilities. Hardware abstraction – a software layer that enables access to the hardware features of the MCU, such as flash memory, GPIOs, serial interfaces, etc. Communication support – drivers and protocols allowing to connect the device to a wired or wireless protocol like Bluetooth, Z-Wave, Thread, CAN bus, MQTT, CoAP, etc., and enabling device communication. Remote management – the ability to remotely control the device to configure rules or commands, to upgrade its firmware or to monitor its battery level. The IoT gateway acts as the aggregation point for a group of sensors and actuators to coordinate the connectivity of these devices to each other and to an external network. An IoT gateway can be a physical piece of hardware or functionality that is incorporated into a larger “Thing” that is connected to the network. For example, an industrial machine might act like a gateway, and so might a connected automobile or a home automation appliance. An IoT gateway will often offer processing of the data at the ‘edge’ and storage capabilities to deal with network latency and reliability. Operating system – typically a general purpose operating system such as Linux. Application container or run-time environment – IoT gateways will often have the ability to run application code, and to allow the applications to be dynamically updated. For example, a gateway may have support for Java, Python, or Node.js. 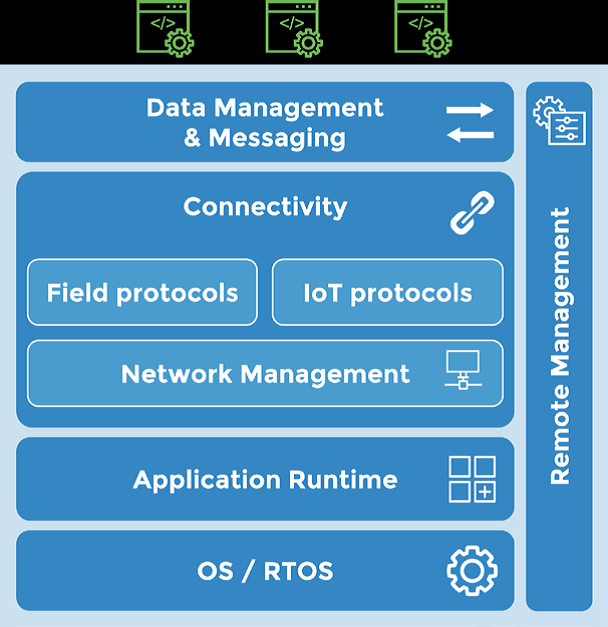 Communication and Connectivity – IoT gateways need to support different connectivity protocols to connect with different devices (e.g. Bluetooth, Wi-Fi, Z-Wave, ZigBee). IoT Gateways also need to connect to different types of networks (e.g. Ethernet, cellular, Wi-Fi, satellite, etc.…) and ensure the reliability, security, and confidentiality of the communications. Data management & Messaging – local persistence to support network latency, offline mode, and real-time analytics at the edge, as well as the ability to forward device data in a consistent manner to an IoT Platform. Remote management – the ability to remotely provision, configure, startup/shutdown gateways as well as the applications running on the gateways. Rule Based Intelligence – provides rules on data-processing events and acting on events/data based on threshold based rules configured and running on gateways. IoT Gateway satck can be combined with NB-IoT or CAT-M or LoRA wireless access-point to create an IoT-network solution. The IoT Cloud Platform represents the software infrastructure and services required to enable an IoT solution. An IoT Cloud Platform typically operates on top of Openstack or Container Cloud platform running on Server-HW and is expected to scale both horizontally, to support the large number of devices connected, as well as vertically to address the variety of IoT solutions. The IoT Cloud Platform will facilitate the interoperability of the IoT solution with existing enterprise applications and other IoT solutions. Connectivity and Message Routing – IoT platforms need to be able to interact with very large numbers of devices and gateways using different protocols and data formats, but then normalize it to allow for easy integration into the rest of the enterprise. Device Management and Device Registry – a central registry to identify the devices/gateways running in an IoT solution and the ability to provision new software updates and manage the devices. Data Management and Storage – a scalable data store that supports the volume and variety of IoT data. Event Management, Analytics & UI – scalable event processing capabilities, ability to consolidate and analyze data, and to create reports, graphs, and dashboards. Application Enablement – ability to create reports, graphs, dashboards, … and to use API for application integration. Security – Security needs to be implemented from the devices to the cloud. Features such as authentication, encryption, and authorization need be part of each stack. Ontologies – The format and description of device data is an important feature to enable data analytics and data interoperability. The ability to define ontologies and metadata across heterogeneous domains is a key area for IoT. Development Tools and SDKs – IoT Developers will require development tools that support the different hardware and software platforms involved. 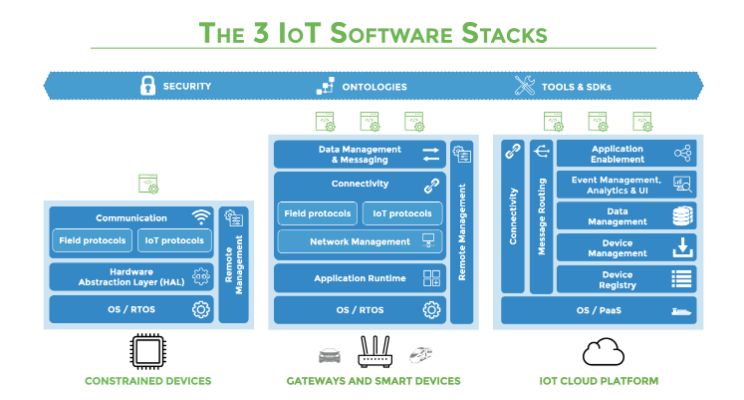 Loosely coupled – Three IoT stacks have been defined but it is important that each stack can be used independently of the other stacks. It should be possible to use an IoT Cloud Platform from one supplier with an IoT Gateway from another supplier and a third supplier for the device stack. Modular – Each stack should allow for the features to be sourced from different suppliers. Platform-independent – Each stack should be independent of the host hardware and cloud infrastructure. For instance, the device stack should be available on multiple MCUs and the IoT Cloud Platform should run on different Cloud PaaS. Based on open standards – Communication between the stacks should be based on open standards to ensure interoperability. IoT Solution is an integration and system development project using COTS HW as much as possible and different IoT software pieces to create a vertical end-to-end solution for deployment or trial. Proven automation using scripting languages like PERL/Python, test plans. Cloud infrastructure and software-defined networking (SDN) domain, Linux layer 2 and 3 networking internals. Experience in testing of High Availability SDN Controllers Should have worked on KVM/QEMU hypervisor environment, L2/L3 networking concepts like VLAN, MPLS/BGP/L3VPN, Routing Protocols. Experience in performance and scale testing of routing protocols, IXIA/Spirent gears or other open source testing tools, defining complex network topologies, replicating customer network, Open vSwitch, OpenFlow protocol.